Corporate governance | Toyoda Gosei Co., Ltd. The entire Toyoda Gosei Group is striving to enhance corporate governance so that we can continue as a company of integrity that is trusted by society. To build and maintain fair and transparent corporate governance systems, we are increasing the effectiveness of the monitoring and auditing of corporate management by external directors and auditors, while also installing internal control systems company-wide to ensure the propriety and efficiency of work. Through Group-wide compliance activities we are pursuing thorough legal compliance and business ethics. We are identifying risks with the potential to have a huge impact on our operations, and implementing risk management activities to prevent future problems. We view the enhancement and strengthening of corporate governance with the aim of ensuring sound and efficient corporate management to be crucial in achieving sustainable growth. We are building and maintaining organizational systems that can respond precisely to environmental changes, and implementing and fair and transparent management systems. Toyoda Gosei supports the Corporate Governance Code formulated by the Financial Services Agency and the Tokyo Stock Exchange, and has voluntarily implemented various policies based on the letter and spirit of those principles and rules to enhance our corporate governance. Toyoda Gosei has adopted an audit and supervisory board system and set up the shareholders’ meeting, Board of Directors, Board of Auditors, and accounting auditors as statutory entities. We have also installed internal auditors and other internal control systems. The Board of Directors consists of nine directors, and holds regular monthly meetings (extraordinary meetings held as needed), where matters prescribed by law and important matters related to corporate management are reported, discussed, and decided. A system of corporate officers is used to speed up decisionmaking and business execution. For important business matters, monthly management meetings are held. Functional conferences and committee meetings relevant to key areas such as technology, costs, and personnel are also held as needed for good management decisions. The Board of Auditors consists of five auditors and holds regular meetings. Auditors also attend important meetings such as Board of Directors’ meetings and audit each department and subsidiary, through which they fulfill their function of auditing corporate management. Accounting auditors are external auditors who combine auditing functions with ensuring an independent and fair auditing system. Toyoda Gosei has formulated a basic policy for setting internal controls, based on the provisions of the Companies Act. By establishing internal control systems for things including discussion of important matters, checks of business execution status, internal audits, compliance, and risk management in line with this policy, we are striving to build and operate systems to ensure business propriety. The establishment and operational status of internal controls is examined each year at a Board of Directors’meeting, and continuous efforts are made to improve and strengthen these controls. To cultivate a healthy internal control environment at Toyoda Gosei and its subsidiaries, all Group companies share established Corporate Principles. 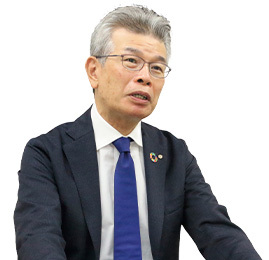 The Toyoda Gosei Group Charter for Business Ethics, a shared guideline for compliance, has also been instituted and systems are being spread to subsidiaries. While respecting the independence of subsidiary management, we receive regular business reports and set up systems to confirm the propriety and legality of subsidiaries’businesses through advance approval reports. We also send non-executive directors and auditors to key subsidiaries in a system to monitor and act as a check on their business execution. An Audit Division consisting of eight people has been set up for internal audits. With the aims of both achieving business objectives and preventing dishonest practices or falsification, internal audits are conducted across the entire business from the perspective of legality and rationality based on an internal auditing plan approved by corporate managers at the beginning of each term. This includes audits of the internal control design and operation status in each department. The results of internal audits are reported to corporate managers via officers in charge of internal audits, and recommendations for improvements in the audited departments are given based on the audit results. The effectiveness of internal audits is increased by confirming the improvement plans and results. Audit plans are prepared through the exchange of opinions with Audit & Supervisory Board members, while at the same time reports on the status of internal audits and their results are made to Audit & Supervisory Board members as required to share information. To increase the effectiveness of auditors’ audits, criteria for auditors’ audits have been enacted that establish the basic related items. Audits are then conducted based on the pertinent criteria. Each auditor follows the auditing policy and audit plan established by the Audit & Supervisory Board in conducting surveys and interviews in the company and affiliates. They actively participate in Board of Directors meetings, management meetings, and other important meetings and committees, listen to reports on the business from directors and others, view financial statements and other important documents, visit and audit offices and subsidiaries, ensure legality and propriety, and audit the execution of business by directors from the perspectives of protecting assets and rights and preventing loss. A special section has been established to assist the auditors’ audits. The certified public accountants who perform the accounting audits of Toyoda Gosei are Eiichi Yamanaka and Tomohiro Nishimura of the firm PricewaterhouseCoopers Aarata LLC. They are assisted in the accounting audits of Toyoda Gosei by 11 certified public accountants, 5 accountants who have passed the accountant examination, and 6 others. Audit & Supervisory Board members, internal auditing department, and accounting auditors regularly meet with regard to their respective auditing systems, auditing policy, auditing plans, implementation status, and audit results. They also contact each other as needed to exchange ideas and share information, and cooperate in performing efficient and effective audits. Toyoda Gosei appointed two outside directors, Sojiro Tsuchiya and Kimio Yamaka, at its annual stockholders’ meeting on June 15, 2018. 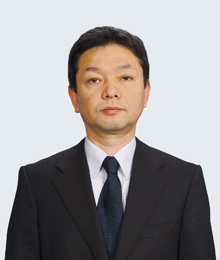 Two outside audit & supervisory board members, Takeshi Uchiyamada and Masami Hadama, were also appointed. Together with current outside audit & supervisory board member Hideomi Miyake, the total number of outside audit & supervisory board members that have been appointed is now three. When electing outside directors, emphasis is placed on extensive experience in corporate management and other areas, plus deep insight. This is in addition to outside requirements from the Companies Act. The outside audit & supervisory board members elected are people with deep experience and knowledge in their field of specialty and management. They stand as outsiders with little direct vested interest and a certain distance from the management team. Outside audit & supervisory board members attend directors’meetings and serve to raise the viability of management oversight, such as seeking proper explanations for the status of the performance of the Board of Directors. They also visit offices and subsidiaries as appropriate to conduct direct audits while coordinating with other auditors. They meet regularly with accounting auditors and the internal auditing department, which includes an internal control auditing function, with regard to their respective auditing plans, implementation status, and auditing results, and contact them as needed to exchange opinions and share information for efficient and effective auditing. Since I was appointed as an outside director in June 2015, Toyoda Gosei’s business environment has changed greatly. During this time the company has needed to make decisions quickly and flexibly to achieve sustainable growth. At directors’ meetings, I have done my best to give objective advice utilizing my past experience and knowledge so that the decision-making at those meetings is transparent. I have worked in a manufacturing company similar to Toyoda Gosei, and have found one thing to be crucial in corporate management of a manufacturing company—contributing to society through manufacturing. The string of corporate scandals that have been revealed in recent years has shaken trust in Japanese manufacturing, and has unfortunately betrayed the expectations of society. Manufacturing consists of the consolidation of many functions, including technical development, sales, procurement, production, and quality control. If activities in each of these areas are carried out in good faith, work will proceed comprehensively and products with quality and cost that satisfy customers can be delivered in a timely manner. The leading role in manufacturing is played by the production plant. I have actively visited Toyoda Gosei’s plants and the plants of Group companies in Japan and other countries. There I talk with the plant personnel as much as possible, and communicate to them the things I notice from the perspective of an outsider so that they can carry out their essential orles. I would like to support the Toyoda Gosei Group in continuing to contribute to society through suggestions with a detailed focus on manufacturing. Director compensation consists of base compensation and bonuses. The base compensation is within a range with an upper limit decided at the general shareholders’ meeting, and determined with consideration of the duties of each position. The amount of bonuses is calculated with consideration of business performance, and determined through a resolution at the general shareholders’ meeting. The base compensation of audit & supervisory board members is determined in consultation with the audit & supervisory board members and within a range with an upper limit decided at the general shareholders’ meeting. ＊ Bonuses are the provision of allowance in the given fiscal year. At Toyoda Gosei, the Board of Directors Office conducts annual interviews of all directors and audit & supervisory board members, including external ones, on the effectiveness of the Board of Directors. The roles and responsibilities of the Board of Directors, the level of discussions, opportunities to improve effectiveness and other matters are assessed from multiple perspectives and the results are reported to the Board of Directors. The results of the assessment for FY2017 showed that the Board displayed a sufficient level of effectiveness. Meaningful opinions were expressed in the assessment process, and efforts to improve the effectiveness will continue. For constructive dialogue with shareholders and investors, we have established a system for conducting such diaglogue in a coordinated manner, planning opportunities and sharing necessary information. This dialogue is carried out through financial results briefings or small meetings for institutional investors with explanations by the company president or relevant officer; plant tours for institutional investors with explanations by the officer in charge; direct visits by people in charge of IR to institutional investors, and other means. Based on the opinions and desires of shareholders and investors obtained, further opportunities for dialogue are being enhanced. In the period before earnings reports, dialogue with shareholders and investors is restricted during a silent period and information is thoroughly controlled in the company. If insider information emerges in the company, the said insider information is controlled and information control is thoroughly implemented.